Danger can assault your business from a variety of different places: in the form of hackers, theft, lost business and natural disasters such as fire and flood. While you can’t foresee every potential landmine, there are ways to protect your business from known issues such as fire. Even if your organization’s space is fully up to building codes, are you confident that you’re doing everything possible to keep from losing your income — and keeping your employees and customers safe? 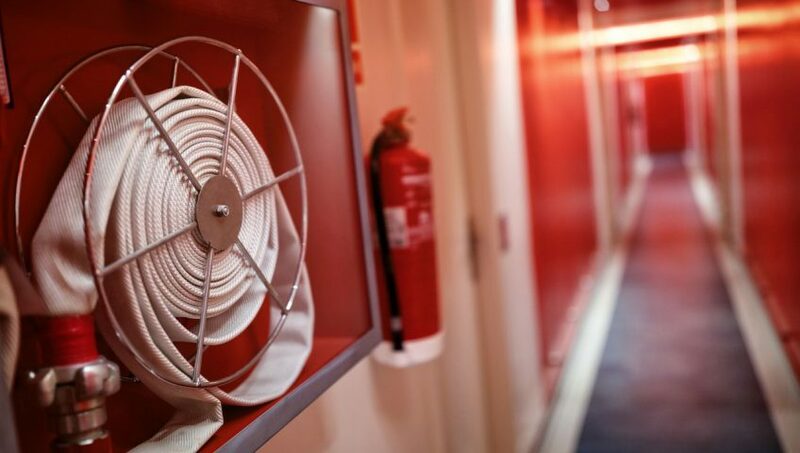 Here’s a rundown of the basic components of commercial fire protection and how they help support your overall business strategies. Each business is different, and one size definitely does not fit all when it comes to adequate fire protection. There are different types of fires and different scenarios that need to be considered before your business could be considered fully protected. If someone has sold you on a blanket solution that “works for everyone”, beware! For instance, a school would have vastly different fire prevention and protection needs than a restaurant or office building. Even different types of factories can have varying needs, based on the type of components or products that are being produced. The first step towards protecting your organization is notifying your employees and customers when a fire has occurred. While they may seem rudimentary, smoke detectors, loud fire alarms and strobe lights are still the best way to let people know that they need to evacuate the premises in the event of heavy smoke or fire. Emergency notification systems that provide a technology solution to text, call or email your community are a quick way to keep everyone informed in the case of dangerous situations. These three options may seem basic, but there are endless permutations that help protect your unique business. Restaurants, schools and hospitality industries often have additional requirements due to the high number of guests that can be in a location at any particular time. Retail establishments have different considerations due to the need to protect inventory as much as possible in the event of a fire. Marine fire suppression and prevention is even more challenging as you don’t have ready access to clean water to douse your fire. State or local building codes provide general guidelines that will offer you basic and minimal protection. A professional review ensures that you and your business are fully protected at all times from the extensive damage that can be caused by fire. 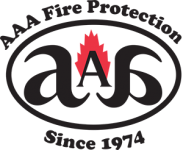 Contact the fire protection experts at AAA Fire Protection today at 855-778-7807 for your free, no-obligation review. We are here to keep your teams, customers and physical assets safe from harm.